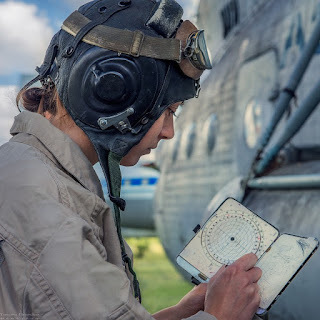 As a flight student, you've got a lot of information to keep track of. 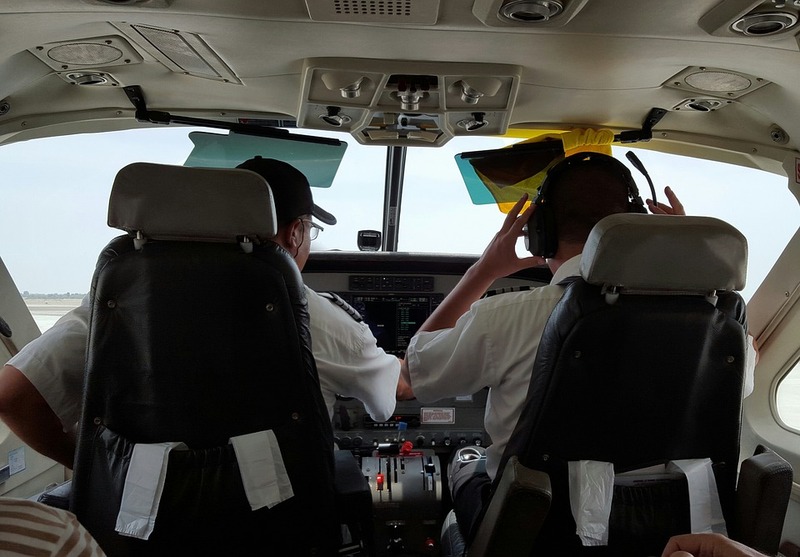 You're learning about the aircraft, the airports that you are flying into, the airspace that you are flying in and around--all of it can seem a bit overwhelming. Back in the flight schools of old, new pilots had to rely on memory and a lot of notes scribbled on pieces of paper. It was not uncommon for a flight student to walk out to the airplane with a kneeboard loaded down with half a dozen little pieces of paper charts, and plotters, some of which would invariably blow around the cockpit as soon as someone moved the air opening of a window or vent. 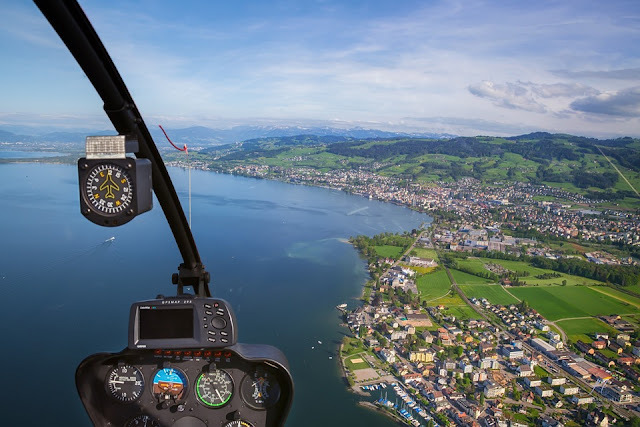 The key to keeping your energy focused on learning how to fly is making sure that you are well prepared for each flight and that the information that you need in-flight is well organized and easily available. Air Navigation Pro is the perfect pilot assistant; it allows you to plan the flight you are about to take in deep detail and puts critical in-flight information right where you need it: at your fingertips. Get more details about Air Navigation Pro latest features. 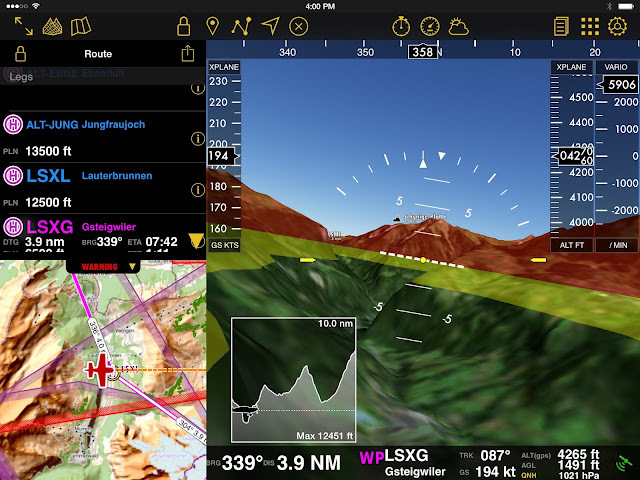 Use Air Navigation Pro with your fellow pilots within your airclub. Make sure to fly safe with the best worldwide aeronautical database. 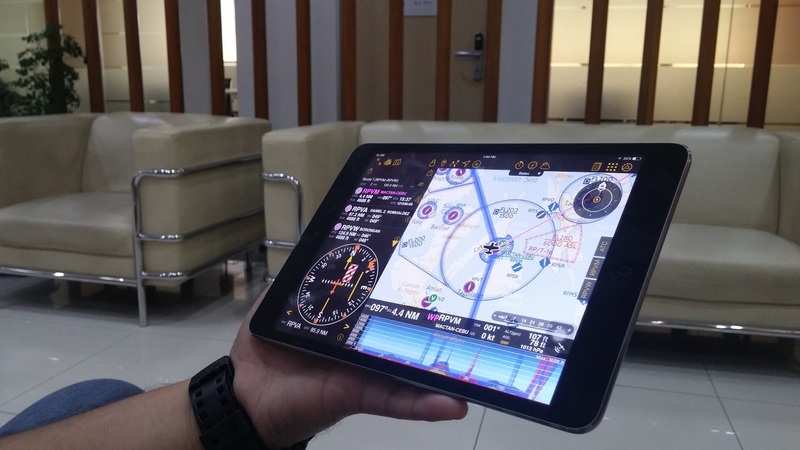 Air Navigation Pro makes preparing for a flight, a fun and easy exercise for the pilot. Before you even go to the airport, you can open up the app and study the surrounding airspace and terrain. This is where the optional 3D data add-on is really helpful, you'll be able to use the satellite view to pick out landmarks that you can use on your flight, landmarks that a conventional sectional chart will not show you. Is the next flight lesson one where you are going out to practice some ground reference maneuvers? On your Air Navigation Pro, you can use the satellite view to pick out some good looking fields and roads before your lesson. Or, maybe you'll be entering the traffic pattern at an airport that is unfamiliar to you. The satellite view can help you find landmarks that you plan to fly over, taking the guesswork out of your pattern entries. If you're more the planning type, making a "go /no-go 'decision before you even leave the driveway is easier with the app. You can display METAR information on the map with ease by looking at the map view. You'll know immediately whether the area in which you intend to fly VFR is, marginal VFR or IFR. Air Navigation Pro takes the headache out of trying to remember multiple airport identifiers to access weather information; by simply tapping the symbols on the map, the screen reveals a current, decoded METAR. Here's a bonus: If an airport is one that issues a TAF, you'll get the right forecast information. All of the current weather report information you need is right at your fingertips with Air Navigation Pro. One of the preflight time-consuming tasks you'll need to take on is the dreaded weight and balance. You'll learn in flight school that weight and balance calculations are critical to safety and must be done correctly before each flight. That does not mean that the exercise is any fun. Having the app will be key in storing critical data that will make the preflight preparation easier. 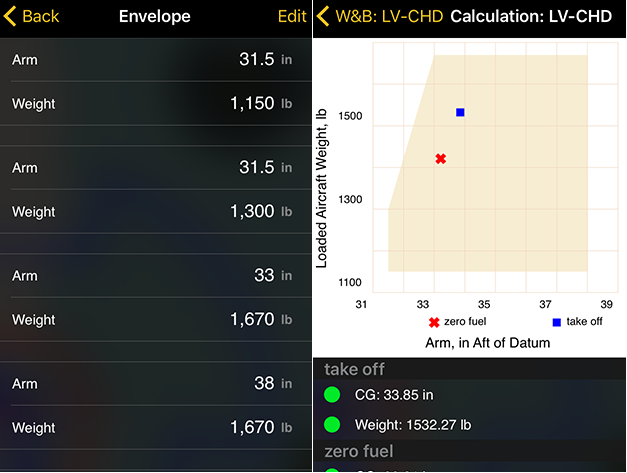 Air Navigation Pro will store the weight and balance data for each aircraft that you fly; enter the Basic Empty Weight, CG limits, maximum weights, seat and arms, and baggage just one time and Air Navigation Pro will help you perform your CG calculations accurately and with ease. 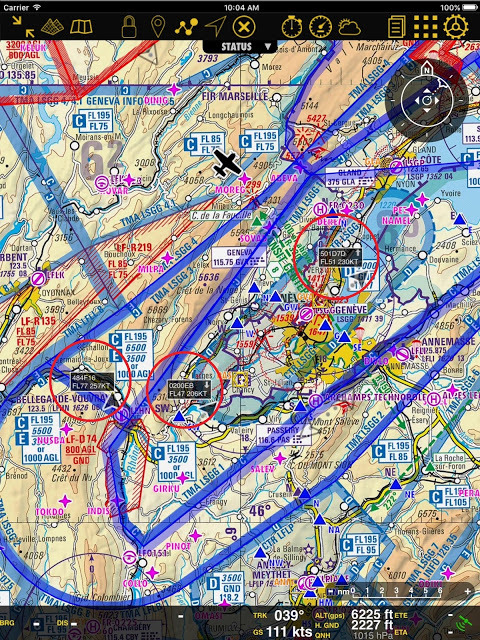 When the time comes to fly those cross-country training flights, Air Navigation Pro makes filing flight plans easy. You can create a profile within the app for each aircraft you fly. The profile will have all of the information you need to complete your flight plan, including those esoteric ICAO equipment suffixes. You can even share information with other Air Navigation Pro users. If you purchase the ATC flight plan filing package from the map store, you can file your flight plan right from the app! The most exciting part of your flight training would be to go on a cross-country flight. This definitely needs good route planning done well ahead of time. In fact, with a touch of a finger, you can slide your route all over the chart allowing you to explore ways to avoid busy, controlled, and special use airspace. No more confusing line drawings all over paper charts! Air Navigation Pro takes the confusion and uncertainty out of flight planning and eliminates time spent looking for landmarks in the air. While you look all over the place for a good ground reference field to do your turns-around-a-point, also consider that the Hobbs meter is running. Having a handy tool like Air Navigation Pro will help you find those landmarks quicker while at the same time help you save money by reducing time spent in uncertainty up in the air! 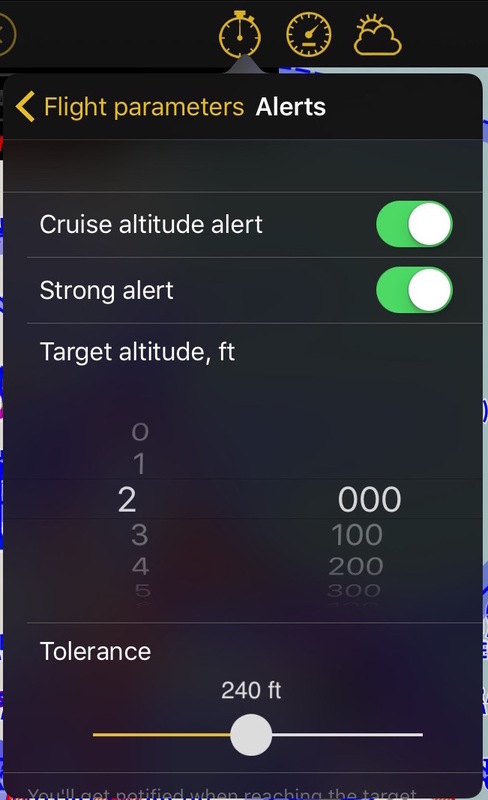 Cruise Altitude Alert: Air Navigation Pro will alert you when you arrive at or leave your pre-programmed cruising altitude. Ground Proximity Alert: Using the elevation data that you can download for free when you get the app, Air Navigation Pro will provide an alert if you fly below 500 feet AGL (not in the vicinity of an airport). Airspace Ahead Alert: The app will warn you when you are 5 minutes from penetrating controlled or restricted airspace. You can even set the configuration for which types of airspace you want to be alerted to. Controlled and special use airspace is not the only thing you need to avoid as a flight student. There are plenty of terrain features and obstacles that can pose a threat. 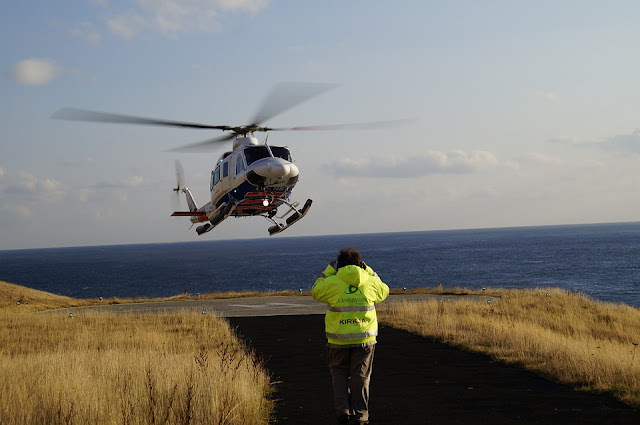 Air Navigation Pro can help you avoid hazardous terrain. You'll find at the bottom of the screen a profile view that shows the aircraft's vertical position relative to the terrain. You can use your fingers to change the distance scale in the profile view, allowing you to look as much as 50 nm ahead to see if your altitude will keep you above the ground. Traffic avoidance is another key concern when flying around the practice area. See-and-avoid is still critically important, and it is not just for aircraft operators either. Drone operations are increasingly a challenge for the see-and-avoid concept of collision prevention. Air Navigation Pro takes into consideration your safety here, too. When you're flying in the air, it is important to keep in mind other aircrafts flying in the area as well. Although air traffic is completely different from driving on the road, it is still common that you'll encounter other aircrafts flying near you. To ensure your safety when flying, you can publish advisories about your flight activities that other pilots can view. At the same time, you can view aerial traffic activity from other pilots as well who are either flying their planes or their drones. The app also makes it possible for you to review the advisory activities in your area while you are still on the ground adding to your awareness of hazards before you ever leave the flight school ramp. While the app has tons of features that are great for student pilots, being able to navigate your destination is the most powerful functions it offers. Planning diversions on those cross-country flights are made easy using the app, not only can you see your own position and where other airports are, you can also check out information about those airports simply by tapping the airport symbol in the map view. Figuring out a new course to those potential diversion airports is made easy with Air Navigation Pro. Your fingers become an accurate plotter; enabling you to measure the distance and course between any two points on the map displayed. Learning how to succinctly communicate with Air Traffic Control can be a challenge for flight students. Air Navigation Pro makes finding the correct radio frequencies easy. You can select an airport on the map to view the radio frequencies for that field, or if you have selected the airport as part of your route, a tab that is filled with useful information is readily selectable on the right-hand side of the screen. Position reports are easier than ever with Air Navigation Pro. There is an ATC tab on the right side of the screen that has all of the position and altitude information you need to send a quick report to air traffic control. Once you've arrived back at your home base, the benefit of the Air Navigation Pro to you as a flight student is not done. In fact, the app offers a powerful function to help you review your performance. You can review your flight via the flight recorder function within the app or on your account through the service website. When reviewing your flight on the web, you can overlay your route of the flight recorded on one of eight different types of maps. Air Navigation Pro adds a useful dimension to visual post-flight briefings, making the app valuable for flight students and flight schools alike. There are a lot of powerful features Air Navigation Pro offers the new pilot. There is no need to struggle with lots of extra paper and guesswork anymore. Air Navigation Pro will help make your learning experience more effective, enjoyable, and safer!